Seventeen years ago, the United States wasn't officially engaged in any wars. Few of us had ever heard of al-Qaeda or Osama bin Laden, and ISIS didn't even exist. We deported half the number of people we do today. Our surveillance state was a fraction of its current size. And -- perhaps hardest to believe -- we didn't have to take off our shoes to go through airport security. America’s involvement in the War on Terror -- prompted by the 9/11 terrorist attacks -- resulted in a dramatic change in our nation's attitudes and concerns about safety, vigilance and privacy. It ushered in a new generation of policies like the USA Patriot Act, prioritizing national security and defense, often at the expense of civil liberties. These changes continue to have ripple effects across the globe, particularly in the Middle East, where American-led military operations helped foment rebellions and ongoing warfare throughout the region. Below are four of the many dramatic impacts -- nationwide and in California -- resulting from the events of that one tragic day. Less than a month after 9/11, U.S. troops invaded Afghanistan in an attempt to dismantle al-Qaeda -- the terrorist group that claimed responsibility for the attacks -- and remove the Taliban government harboring it. Two years later, in March 2003, the United States invaded Iraq and deposed President Saddam Hussein. Although not directly linked to the terrorist attacks, Hussein was suspected of producing weapons of mass destruction (none were ever found). The invasion was a key part of America's newly launched War on Terror, under the leadership of President George W. Bush. Our military involvement in Afghanistan, which continues today, has turned into the longest-running war in U.S. history. And although formal U.S. combat operations ended in late 2014, more than 8,000 U.S. troops are still there to stem the ongoing Taliban insurgency. In August 2017, President Trump announced his intention to boost troop levels in the region in response to deteriorating security conditions. In December 2011, remaining U.S. troops were pulled out of Iraq, leaving that nation in a far more volatile state than when military operations first began in 2003. But as the Islamic State extremist -- which sprouted from the chaos of war -- continues to terrorize the region, the U.S. has resumed intermittent air strikes. In 2002, the Bush Administration also opened the Guantanamo Bay detention center in Cuba, where it began sending suspected enemy combatants. Held indefinitely, prisoners were denied access to trials or legal representation, and were subject to brutal interrogation techniques. There were more than 650 foreign inmates at the facility by 2003. Critics have long pushed to shut down the Guantanamo facility, calling it a gross violation of basic human rights and a stain on America's image abroad. And although early in his first term, Obama vowed to close it -- and significantly reduced the population (there are only 41 inmates remaining) -- he failed to completely shut it down. Guantanamo still remains operational and President Trump has vowed to begin refilling it with foreign-born prisoners. After 9/11, budgets for defense-related agencies skyrocketed: Homeland Security's discretionary budget jumped from about $16 billion in 2002 to more than $43 billion in 2011. Meanwhile, the budgets of the Coast Guard, Transportation Security Administration and Border Patrol have all more than doubled since 2001. In the last 15 years, millions of young U.S. soldiers have been deployed overseas, thousands have been killed and many have returned home with debilitating physical and mental injuries. According to U.S. Substance Abuse and Mental Health Services Administration, roughly 3.1 million Americans entered military service between 2001 and 2011, and nearly 2 million were deployed to Afghanistan or Iraq. In that time, more than 6,000 American troops have been killed, and roughly 44,000 wounded. Of returning service members, more than 18 percent have post-traumatic stress disorder (PTSD) or depression, and almost 20 percent reported suffering from the effects of traumatic brain injury (TBI). California is second only to Texas in its contribution of recruits to the U.S. military. As of 2009, the U.S. Census reported roughly 118,000 active California service members. Multiply that by the number of families and friends those soldiers left at home, and the statewide impact becomes more clear. The LA Times reports that as of August 25, 2014, 749 California service members from every corner of the state had been killed in Iraq and Afghanistan. The Bush Administration created the Department of Homeland Security in 2002, a cabinet-level office that merged 22 government agencies. The Immigration and Naturalization Service and the U.S. Customs Service -- both formerly part of the Department of Justice -- were consolidated into the newly formed U.S. Immigration and Customs Enforcement (ICE). The agency has overseen a massive increase in deportations; they have nearly doubled since 9/11. According to the Department of Homeland Security’s Yearbook of Immigration Statistics, there were roughly 200,000 annual deportations a year between 1999 and 2001. While that number dropped slightly in 2002, it began to steadily climb the following year. In the first two years of the Obama Administration (2009 - 2010), deportations hit a record high: nearly 400,000 annually. About half of those deported during that period were convicted of a criminal offense, although mostly low-level, non-violent crimes. The Secure Communities program, established in 2008 and officially phased out in 2014, allowed local law enforcement to check the immigration status of every person booked in a county or local jail -- even if not ultimately convicted of a crime -- by comparing fingerprints against federal immigration records. The program resulted in numerous instances of undocumented immigrants entering deportation proceedings after being stopped for minor infractions (like not using a turn signal while driving). By 2014, when Obama announced plans to phase out the program, ICE had established Secure Communities partnerships with every single law enforcement jurisdiction in the nation (all 3,181 of them). California is the primary destination for foreign nationals entering the country, and home to a quarter of America's immigrant population. Of the nearly 10 million immigrants (both naturalized and undocumented) residing in the state, an estimated 4.3 million are Mexican, 28 percent of whom are naturalized, according to the Public Policy Institute of California. Long airport lines, full body scans, the occasional pat-down (for the lucky ones). It's all par for the course when you fly these days. But not so long ago, it wasn't unusual to show up at the airport a half-hour before a domestic flight, keep your shoes tied tight, and skip through the metal detector while sipping a Big Gulp, all without ever having to show an ID. Before the advent of color-coded security threat warnings, pat downs were rare, liquids were allowed, and the notion of having to go through full-body scanners was the stuff of science fiction. Heck, prior to 9/11, some airport security teams even allowed passengers to take box cutters aboard (the supposed weapon used by the 9/11 hijackers). Any knife with a blade up to four inches long was permitted. And cigarette lighters? No problem! In the wake of the terrorist attacks, airport security underwent a series of major overhauls. And a service that was once largely provided by private companies is now primarily overseen by the massive Transportation Security Administration. Created in the wake of the 9/11 attacks, the TSA is tasked with instituting new security procedures and managing screenings at every commercial airport checkpoint in the country (although, private contractors still operate at some airports). It marks the single largest federal start-up since the days of World War II. The agency is authorized to refer to watch lists of individuals who could pose flight safety risks. Although advocates argue that the changes have made air travel safer, the additional security steps have also tacked on a significant amount of travel time for the average passenger, while sometimes infringing on privacy rights and, in many instances, increasing scrutiny of minority travelers, particularly those of Middle Eastern descent. 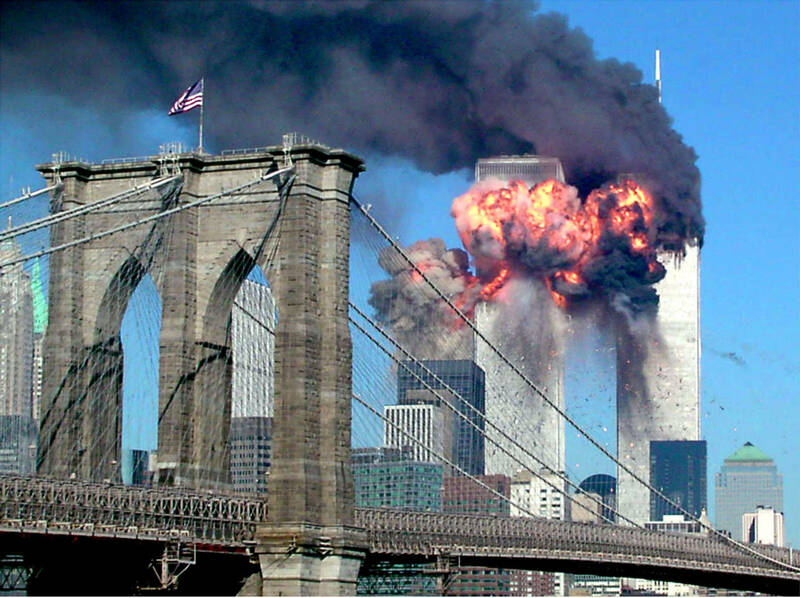 The U.S. intelligence state boomed in the wake of 9/11. The growth resulted in a marked increase in government oversight, primarily through a vast, clandestine network of phone and web surveillance. Classified documents that were leaked in 2013 by former government contractor Edward Snowden detail the expansion of a colossal surveillance state that's seeped into the lives of millions of ordinary Americans. The exponential growth of this apparatus -- armed with a $52.6 billion budget in 2013 -- was brought to light when the Washington Post obtained a "black budget" report from Snowden, detailing the bureaucratic and operational landscape of the 16 spy agencies and more than 107,000 employees that now make up the U.S. intelligence community. Further audits reveal that the National Security Agency alone has annually scooped up as many as 56,000 emails and other communications by Americans with no connection to terrorism, and in doing so, had violated privacy laws thousands of times per year.